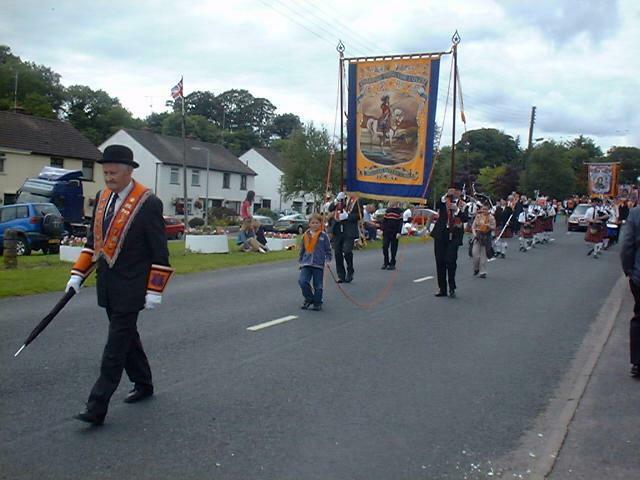 Celebrating 1690 – the Year of European Freedom. 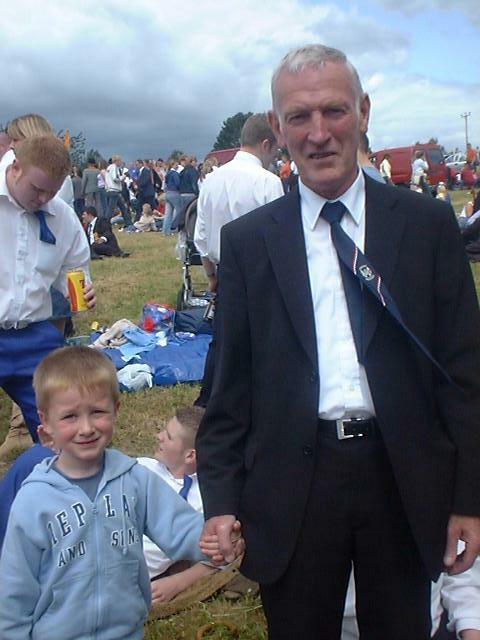 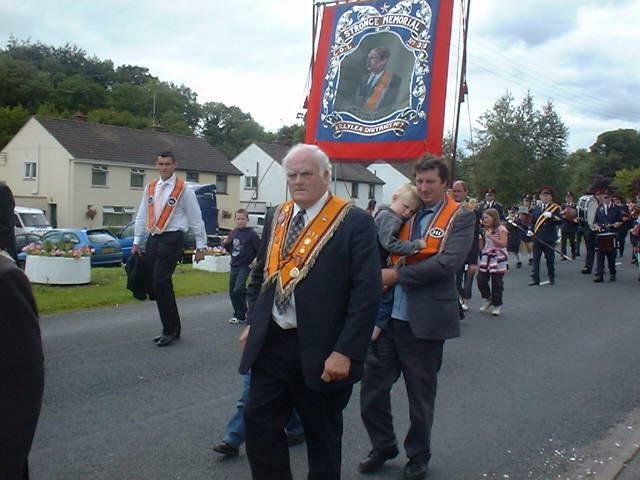 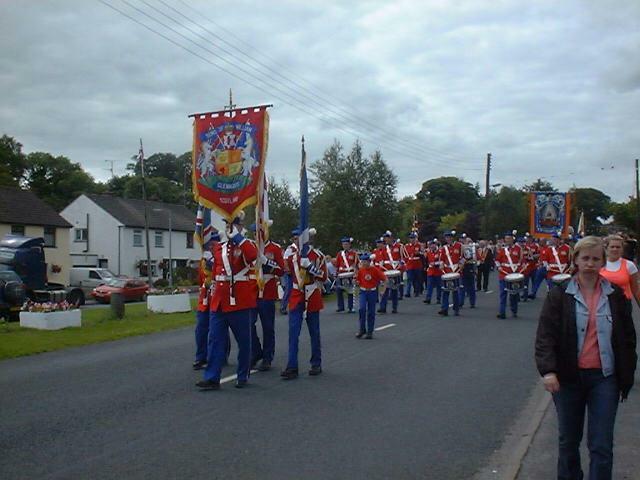 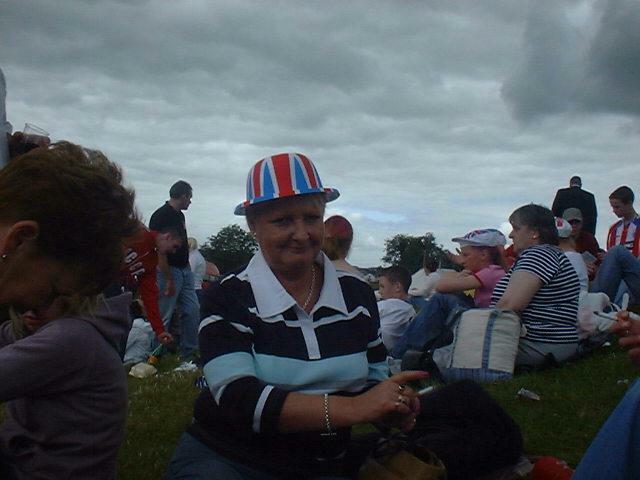 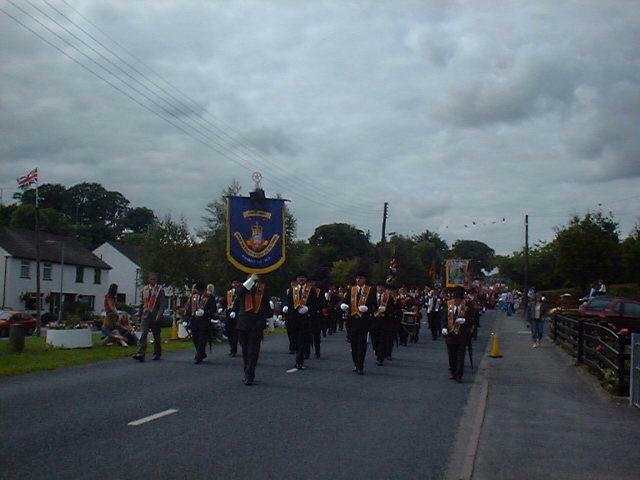 The Twelfth 2004 at Bessbrook, Co. Armagh. 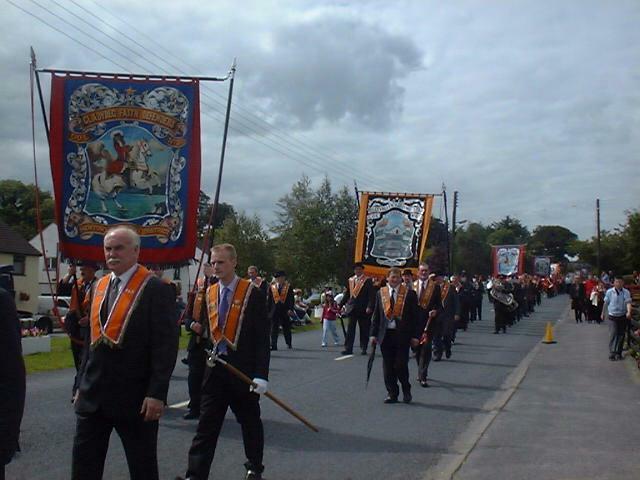 All pictures supplied by Paula Dawson, Co. Armagh. 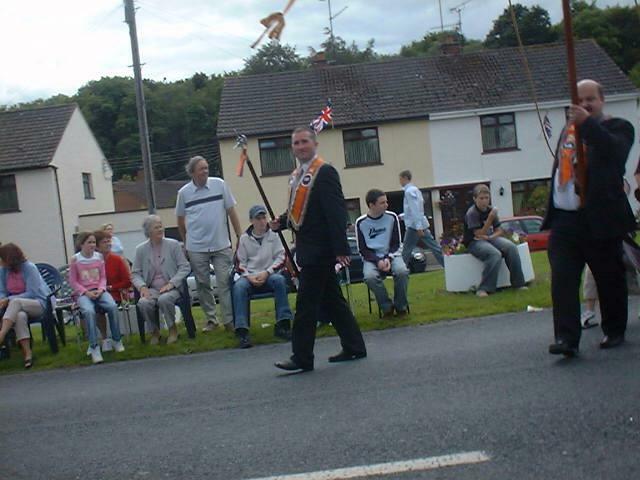 Spectators enjoying the parade. 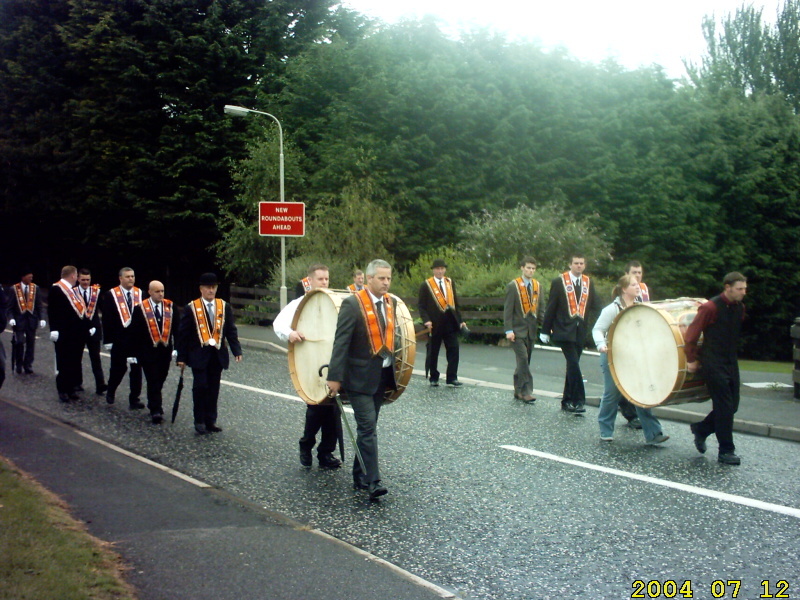 Sons of William Flute Band A Pipe band accompanies these Orangemen. 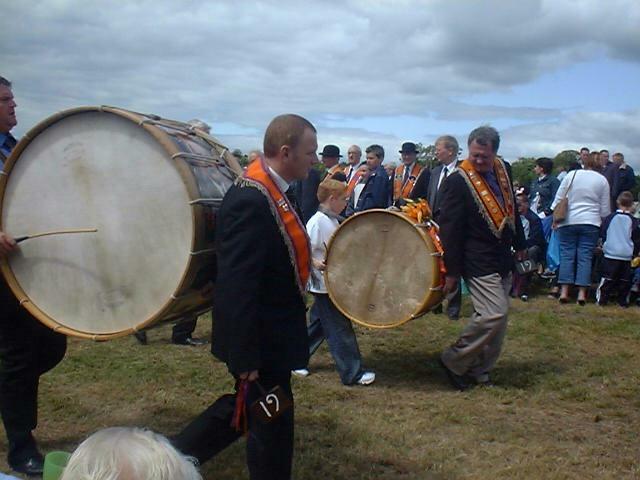 It’s just all too much for this youngster! 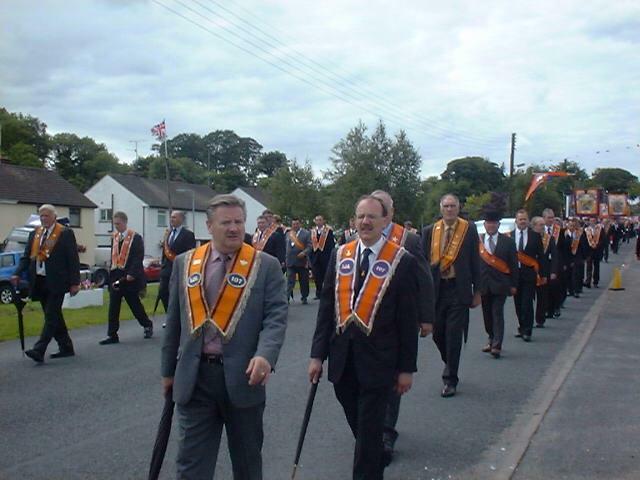  Nearly there. 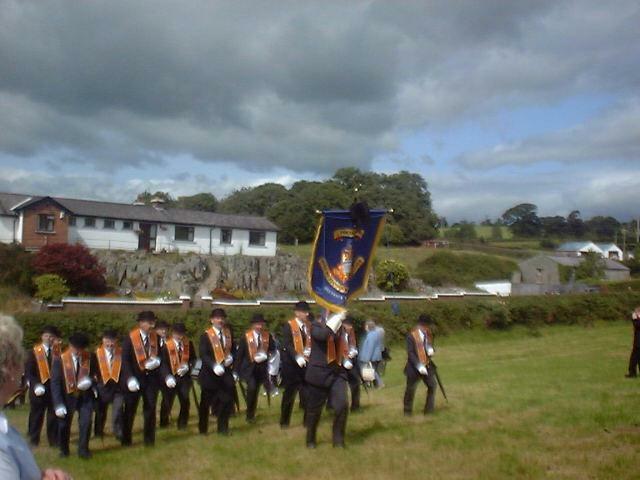 Climbing the hill. 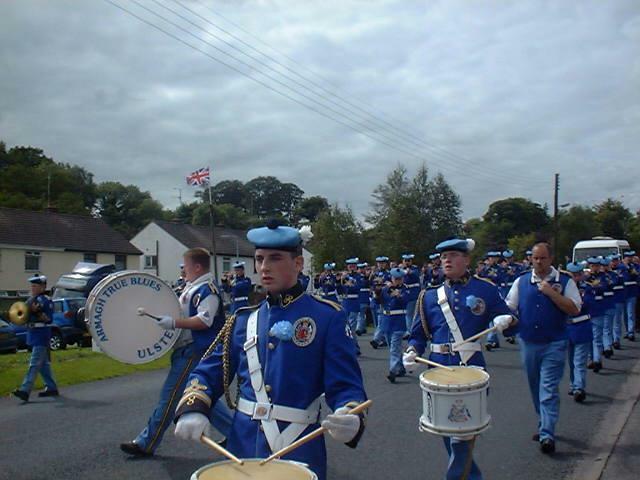 A Silver band accompanies these lodges. 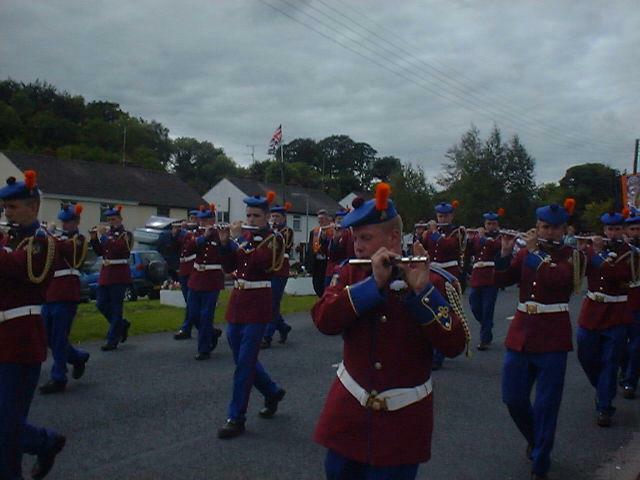 The Twelfth 2004 at Bessbrook, Co. Armagh. 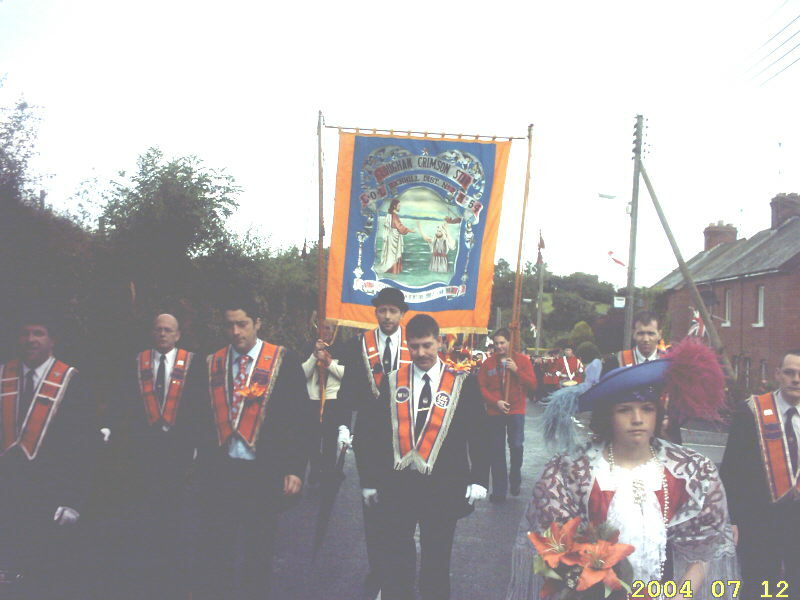 Pictures supplied by Blue Ron 221, Glasgow. 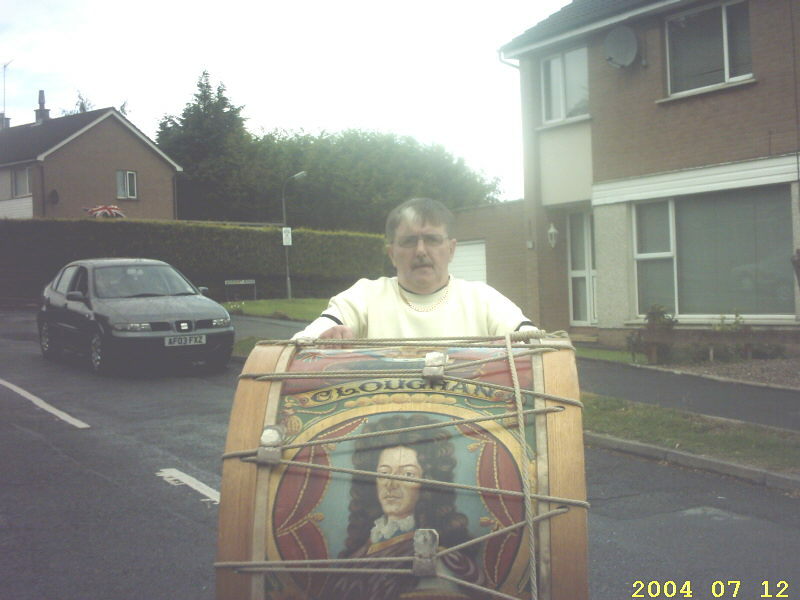 Calton guest has a go with a Lambeg drum. 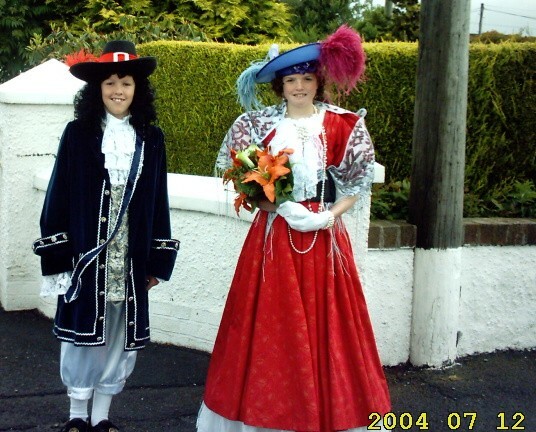 William and Mary get ready for their big day out. 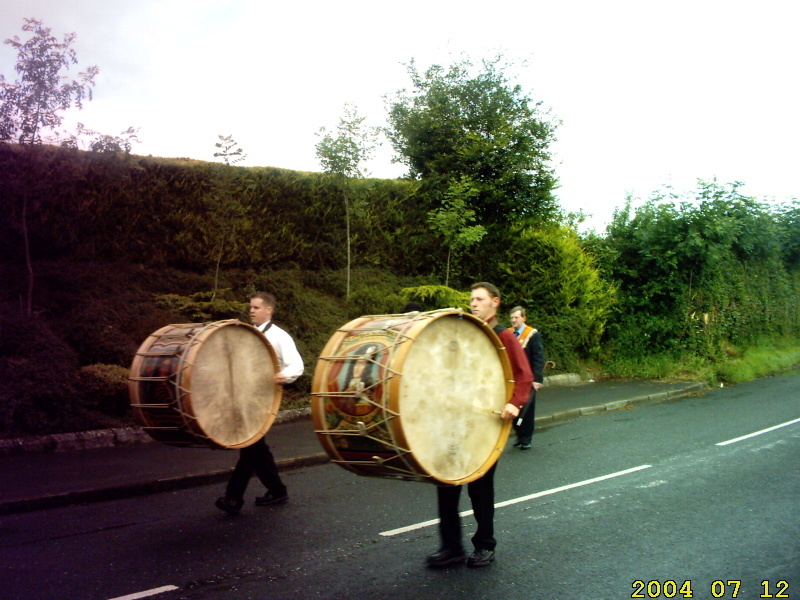 Lambeg drummers step out Girl Power on the Lambeg!